There is no better feeling than landing in your final destination after a long day of travel. Yet the exhaustion from the journey, coupled with the anticipation of discovering a new place, often makes it difficult to decide between heading out to explore and diving straight into bed. Despite the late hour of our arrival in Lisbon, I was eager to get acquainted which this city I had long dreamt about. Welcomed by the temperate night, a friendly waiter, a few glasses of the local wine and the sound of Fado music floating through the cobblestone streets, I’m glad we chose a night of exploring. Lisbon is having a moment. New boutique hotels are popping up and restaurant openings have put the city on the culinary map. Smaller in size and therefore more accessible than other major European cities, Lisbon welcomes you with open arms and makes you feel right at home. The city is small enough to explore in a few days, but there is so much to offer that you could easily enjoy the city (and the food!) much longer. While many travelers head to the Algarve for beach time or Porto for wine tasting, be sure to plan at least a few days in Lisbon -- or better yet make it the centerpiece of your trip. Lisbon is a great city for Airbnbs. Affordable and charming, there are many options tucked away in each of the neighborhoods across town. We chose a spot in the Alfama and loved it. The Alfama is the oldest neighborhood in the city and is slightly out of the center of town so was a bit quieter than other neighborhoods we spend time in. I loved stopping by the Memmo Alfama to enjoy a cocktail on their rooftop. Right in the heart of the charming and historic Alfama district, the views were spectacular. The hotel staff was friendly and helpful, and the space was trendy, but comfortable. With just 6 suites, Santa Clara 1728 is an enticing choice for design enthusiasts with a love for thoughtful details and design. 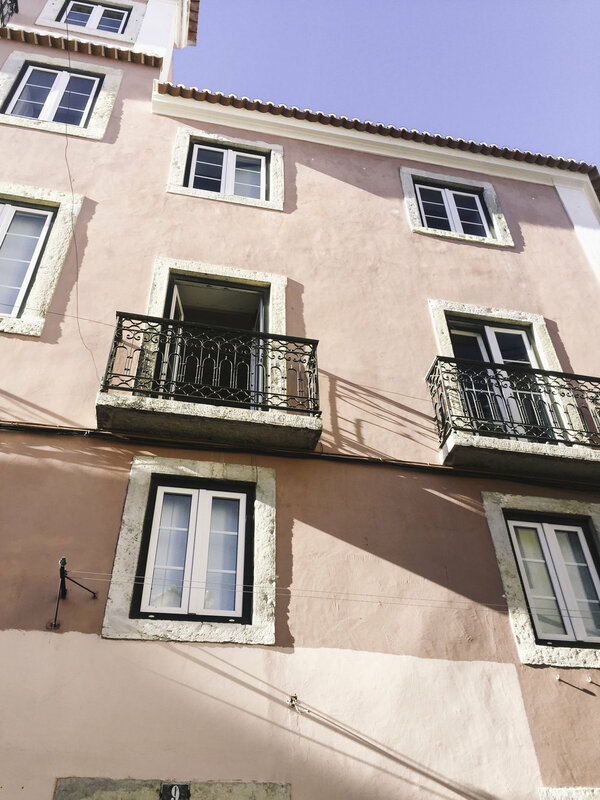 Located in the Alfama District, you are slightly away from the center of town, but can easily access those areas in a 15 minute walk. The hotel is housed in an 18th century building that was carefully renovated to create an inviting place to welcome visitors and friends. 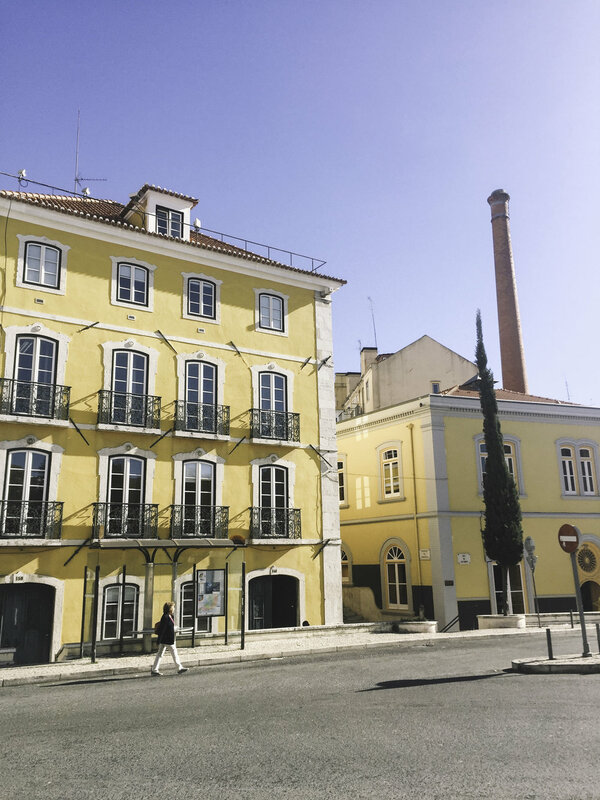 An authentic apartment that acts like a hotel, the Baixa House is located in between the Alfama District and Baixa-Chiado. 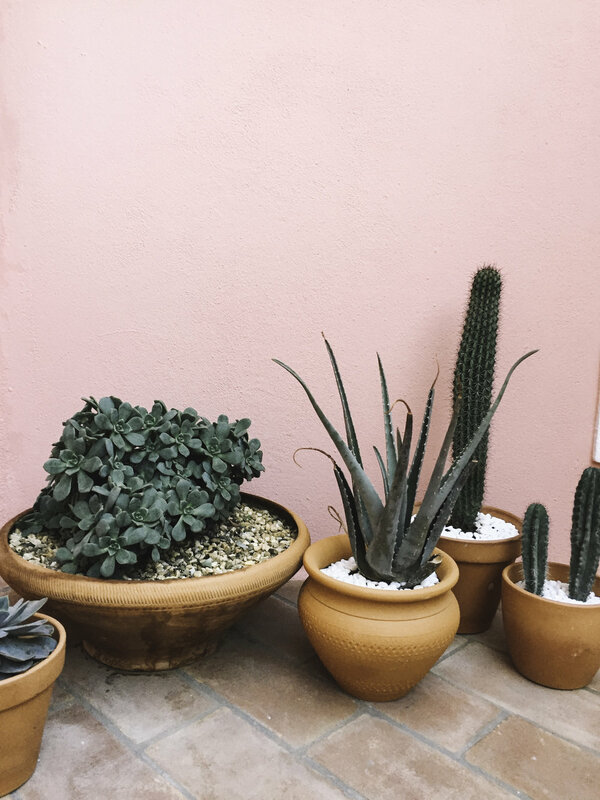 With daily breakfast deliveries and charming decor, Baixa House is a great choice if you want to feel like a local while still enjoying the convenience of a hotel. These delightful custard tarts are worth making the trip to Belém (and definitely include a walk to the Tower of Belem while you’re out there). The infamous pastel de nata are popular city-wide, but these are highly recommended as the best. The beauty of this city truly comes alive during golden hour, and the views from the rooftop at the Memmo Alfama are hard to beat. From the old building running down to the Tigrus river, it’s a picturesque place to enjoy a cocktail. 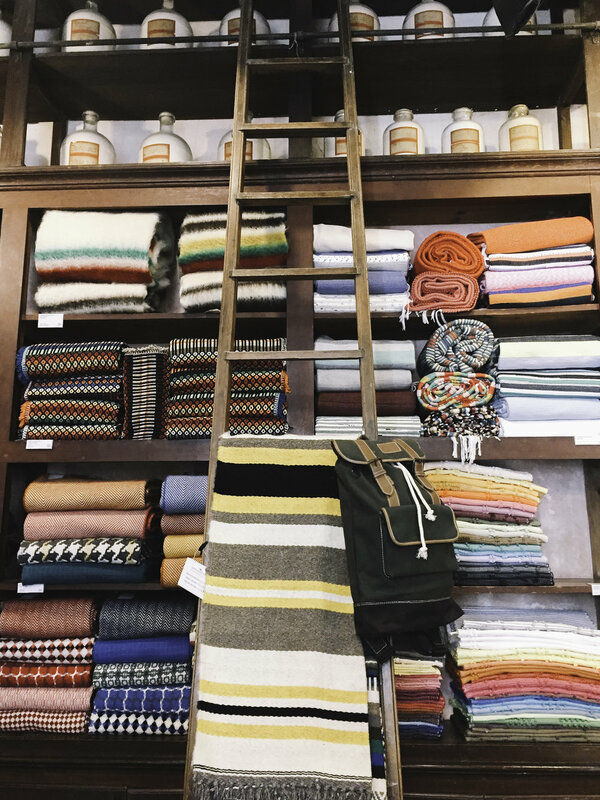 This tiny shop located in the Chiado shopping district only accommodates one customer at a time, and personally fits and customizes each pair gloves they sell. Made from the highest quality leather and reasonably priced at around 60 Euros, they have been a Lisbon staple since 1925. You can accomplish this in any restaurant or bar, but it’s worth spending some time trying different types of port. I wasn’t a big fan of port before our trip, but definitely enjoyed learning more about it and must admit a lot of the varieties we tried were so delicious that we ended up bringing some home. Portuguese wine is highly underrated and worth indulging in as well. Take a day trip to Sintra to explore the Pena Palace. About an hour outside of Lisbon and accessible by train, Sintra feels like a whole different world. While it’s definitely a tourist attraction, aim to arrive early and take some time to explore the Pena Palace and the Castle of the Moors, a medieval castle overlooking the town of Sintra. You’ll be rewarded with stunning views (unless it’s foggy like the day I visited! Still worth the trip, and the fog added a magical quality to the atmosphere). This bright and airy spot serving coffee and yummy yogurt bowls (thought the pastries also looked delicious). A bit out of the way, but a good stop to start off your morning which some inspiring Scandinavian vibes. If a Portuguese-Australian cafe seems like a strange combination, prepare to be pleasantly surprised. Open all day, this coffee spot serves full breakfasts along with pastries and coffee and turns into a wine bar in the later hours. The low key vibes made this a welcome stop for a hearty breakfast and speciality coffee. This market opened in 2014 as one of the first Time Out sponsored food halls. With over 35 stalls selling regional specialties and a wide range of food options, come with an appetite and sample food from a bunch of stalls. We enjoyed fried cuttlefish, grilled octopus and pad Thai from different stalls, topped off with pastel de nata from Manteigaria. José Avillez is one of the most well-known Portuguese chefs and has contributed to the Lisbon culinary scene with 8 restaurants in town. While Belcanto is a more formal option (and Portugal's first restaurant to be awarded 2 Michelin stars), we chose Cantinho do Avillez for dinner one night for a more low key evening. I loved the ambiance and decor, and the global dishes with a Portuguese spin (inspired by the chef's world travels) were a hit. The lamb tangine was a highlight. A cozy spot serving authentic Portuguese dishes. The ever-changing menu is written on a chalkboard and brought to your table for explanation by your waiter. We loved the mussels and fried mackerel paired with the house Vinho Verde. Try to arrive early (we used jetlag as our excuse to show up right before 5pm, and snagged the last open table) or be prepared to wait.